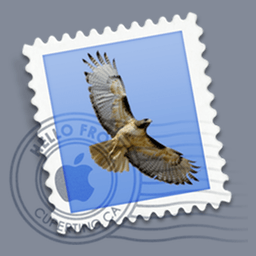 In older versions of Mail, you’d have to use Safari to save your HTML as a .webarchive first, and then open your ~/Library/Mail folder, navigate to the "Signatures" folder, find the correct signature and then replace the file. Not too complicated, but still not as simple as it should be. In more recent versions of Mail, the process is almost the same, (you still have to find the signature in your ~/Library/Mail/V2/MailData/Signatures folder and replace the correct file), but now instead of using .webarchives, you have to convert the HTML signature to use Quoted-Printable encoding. Luckily, PHP 5.3+ comes with two functions, quoted_printable_encode() and quoted_printable_decode() to encode and decode quoted-printable text. But why would you even want to have HTML in your email signature in the first place? Nowadays, however, my reason for wanting to have HTML in my email signature is mostly to be able to include a Feedburner Headline Animator of my events and/or my blog articles. I also recently appended custom campaign parameters to the links in my signature so that I can have better information in my analytics by knowing how people reach my websites. To make things easier for me, I created a PHP-based signature generator a while back and I’ve been using it to great success for quite a while now. Every one of my signatures has my name, my phone number, a link to my music site and a link to my blog — they only differ in which Feedburner headline animators they include (or none), so having a generator to automate this made a lot of sense. I also use it to create Michelle’s email signatures too. You can download a stripped-down, simplified version of this email generator (and modify it to suit your own needs) from here: signatures.php (zipped). You can also click the image above to see what it looks like – no nonsense, very simple. It adds the headers necessary for the signature, wraps your HTML in some default HTML and CSS that Apple creates for all email signatures and converts it to quoted-printable encoding. When the signature is generated, it will show you the HTML signature with the quoted-printable text below so you can copy and paste it into the correct file. Easy! In my own signatures, I prefer to use font-family:Helvetica, Arial, sans-serif; (not just Helvetica) since not all computers (Windows) have Helvetica installed. The only other thing is, from what I can tell, Apple uses a new <div> for each new line in the signatures that Mail.app generates, but it doesn’t seem necessary and it still works without doing this. And to get the same signature on your iPhone, just create and save a new draft message with your HTML signature in Mail.app, then open that draft on your iPhone, select the text and copy it, switch to Settings->Mail, Contacts, Calendars and paste your signature on the "Signature" screen. Easy! How to Create HTML Signatures for Apple Mail and iPhone was published on Friday, October 4, 2013 at 6:00pm EDT by Daniel Menjívar and last updated on April 11, 2018 at 9:30pm UTC .